First time on the on the forum for me, but that is correct if you have a pro. 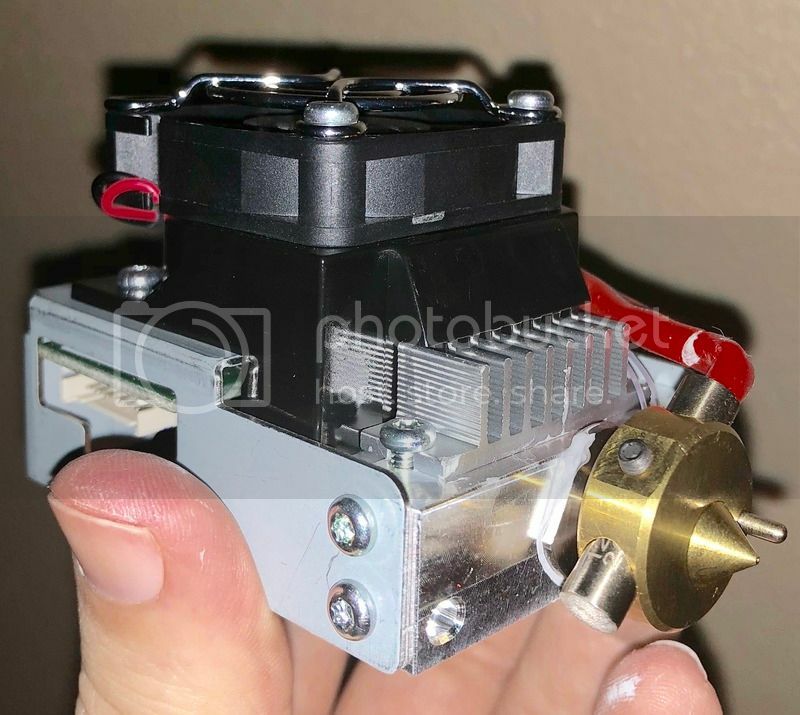 I have the 3 in 1 w same extruder. I'm just starting to have flow problems but it has over 2400 hrs of almost flawless prints, enjoy! I don’t know about the 3 in 1 but I’m pretty sure it uses the same module that the Pro 1.0 does and that’s what I got. The Pro 1.0 that I have has that exact same module in it that you have in the picture there. Hope that helps. I also have a problem getting mine back in after taking it out. It hits on the bracket at the top and I have a bear of a time getting it back in. I’m thinking about taking the bracket off and elongating the holes in it slightly to give me a little more room to insert the module. There’s just no clearance vertically to insert the stupid thing. I think I’m going to bend or break something trying to get the dearned thing back in.